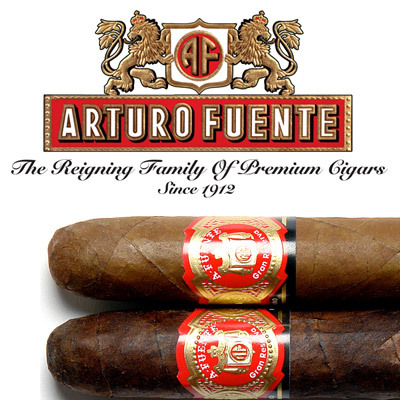 The Reigning Family of Premium Cigars since 1912, Arturo Fuente Cigars are one of the most sought after cigars today due to their high quality, aged, Dominican tobaccos, rare offerings and their exquisite flavors. In fact, every leaf is hand-selected from the family's private reserves, which are exclusive for making cigars. Whether it is the Arturo Fuente Don Carlos, Arturo Fuente Anejo, Arturo Fuente Gran Reserva, Arturo Fuente 8-5-8 or arguably the most popular, the Arturo Fuente Hemingway, you can't go wrong with any Fuente cigar.